Whitsunday, formed by 74 unique islands, it has clear waters, beautiful scenery and a wondrous climate that makes up an awe-inspiring archipelago. The Archipelago lies off the coast of Central Queensland and is one of Australia’s national treasures. Part of the Great Barrier Reef, which is one of the 7 natural wonders of the world, it has six national parks within the region. Travellers can get to Whitsunday by any of the 3 options. The first is from Brisbane, there are cheap flights to Whitsunday is just under 2 hours while by car is around 13 hours of driving. Brisbane Airport offers a great starting point, being available to many international locations. The next option is by air from Australia, there are 2 domestic airports within Whitsunday, Hamilton Island Airport and Proserpine Airport. However Proserpine Airport is still on the mainland and requires travellers to catch a ferry over from Airlie beach to any of the Islands. With plenty of ferries and charters available, island-hopping is a breeze. The best time to visit Whitsunday Islands is considered between May and October, specifically September. Humidity is low, and visibility is clearer for snorkeling. It also avoids marine stinger season. There are plenty of guided and self-guided tours available. Due to the outer reef, these calm water conditions are great for many water activities such as snorkeling, scuba diving, sailing, angling, jet-skiing, ocean rafting, paddle boarding and whale watching, just to name a few. 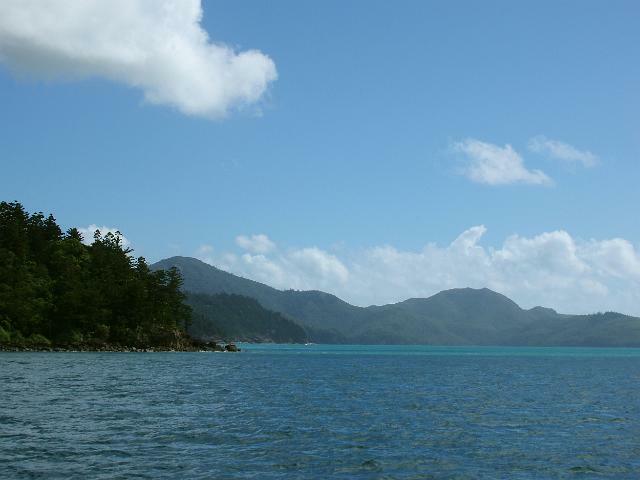 Only a handful of the Whitsunday Islands offer accommodation, the rest are remote and deserted. Don’t know which island would suit you best? Whether it is a romantic getaway, family-friendly or solo trip, there is activities and accommodation to suit. Whitsunday Island is the largest of the Whitsunday archipelago, it is a national park reserve that offers no accommodation and only accessible by boat. There are campgrounds for overnight stays that require a permit in advance. This island must definitely be added to your list when travelling the area. It is home to the world renown Whitehaven beach. With its pure white sand and pristine blue waters, it is considered one of the most beautiful beaches in the world. Along with the popular Hill Inlet lookout, this island is ranked top 3 most visited in Australia. The largest developed Island of the region, it focuses heavily on tourism. Offering a wide range of activities such as tennis, golf, hikes, go-karting, bowling and a wildlife park, this island acts as a mini resort city. Accommodation ranges from luxurious resorts to bungalows, it is a perfect tropical oasis for the modern traveller, with pampering and plenty of facilities. This island is usually always crowded with other guests, so if you do not want to feel alone, this Island is for you. It is accessible by domestic plane and charters. This exclusive island can be accessed by seaplane, helicopter or boat. This Island is the most expensive, boasting its 5 star resort, it has prices that start from $800 per night. Besides getting luxuriously pampered and spoilt, guests can enjoy the beautiful naturescape of rainforests, rocky coves, mangroves, beaches and botanic garden. Hayman Island is dedicated to the high-end accommodation, ideal for honeymooners. Closest to the mainland, it is just a 30 minute boat ride from Airlie Beach and is the smallest island of the group but boasts affordable spas and resorts with plenty of activities, including open air cinema, mini golf, pools, outdoor aquarium and scenic walks. This island is a popular day trip destination that lets you relax with all the modern features and dining options. A great island for any traveller. The second largest island of the set, this rocky and rugged island boasts some of the best snorkelling and scuba diving available. It is largely a national park with trails, rainforests, aboriginal cave shelters and ravishing waterfalls. Instead of luxurious resorts and villas, there are plenty of campsites for those that want to take it a step closer to nature. With its diverse reefs, bays and coves it provides an underwater wonderland for any type of diver. Another great underwater experience can be found at Thomas Island. With large populations of sea turtles, this island is further away and remote, fitting for those that seek isolation. Camping is possible here if permit is obtained. There are no other accommodation types. This underrated island is a great alternative to its neighbour, Whitehaven Island. With its equally beautiful and soft sand, this island is far less crowded and is an incredible location to snorkel and relax uninterrupted. There is no accommodation on the island and travellers would have to stay on one of the surrounding islands. The Whitsunday Islands is a perfect destination for those that are looking to escape the busy suburban life. Whitsunday can be done in a weekend at full throttle, but to relax and enjoy it to its fullest, a week is ideal. Camping permits must be obtained beforehand and is necessary to bring your own water supplies. Remember to Protect yourself from the sun and wear sunscreen. These are the top 7 Whitsunday Islands, each island is unique and worth visiting, some more popular than others, but they are still all equally enticing. Have you been to any of the islands mention? Would love to hear your thoughts on them so contact me!